As you know I am always looking for new and healthy products. I found some really great tasting teas from Teas’ Tea half&HALF green teas. Green Tea is know for it’s many health benefits like cancer prevention, heart health prevention, blood oxidation, immune system booster, weight loss aid and more. 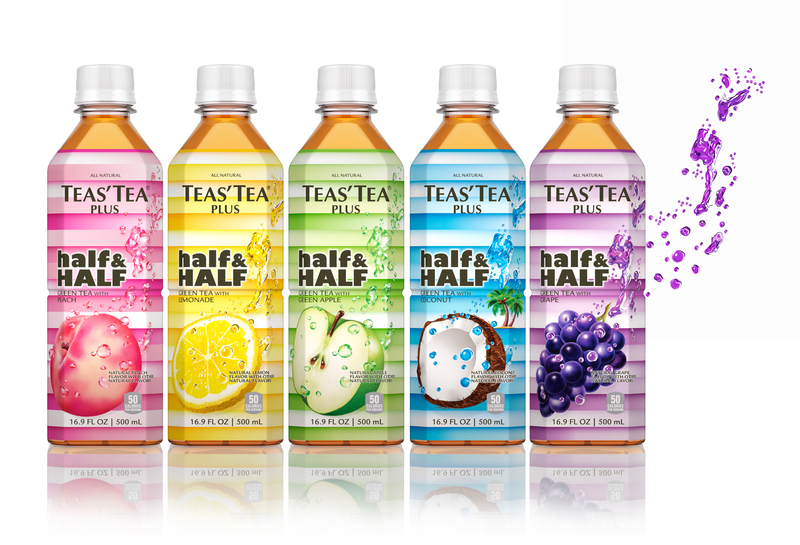 Teas’ Tea half&HALF is brewed using the finest green tea leaves and the great thing is only 50 calories per serving. There are 5 great flavors. The two I tried were green tea & peach and the green tea & coconut ~ I really like both of them. The other three flavors green tea & lemon, green tea & green apple and green tea & grape. Don’t they sound like great flavors? Where can you find these great tasting teas? You can find these at specialty grocery stores, select Whole Foods and even online at www.amazon.com and www.teastea.com. I think that these would taste good with chilled champagne or club soda. These would be great for a girls night out or for a bridal shower. I liked them all by themselves and just with ice. Teas’ Tea half&HALF are very refreshing ~ great for the summer! Anyone can enjoy them at anytime of the day. You can follow Teas’ Tea on any of their social networks to see what is new and exciting.